Hey guys! 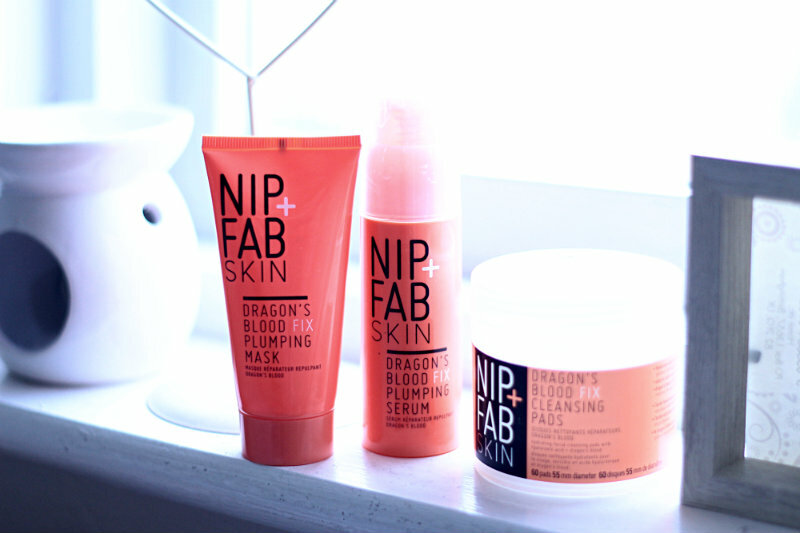 I just quickly wanted to introduce you to this body care beauty brand NIP + FAB! This company kindly sent me a set of Dragon's Blood face products and I was very excited to try them out. To be honest, I've never paid as much attention to my skin as I actually needed. Probably because in the morning I'm always rushing and couldn't spend enough time for that. Well, this was a good time to start actually taking a proper care about it haha! Basically, this set includes a face serum, a mask and cleansing pads. I use these products twice a day, in the morning and before going to bed. Actually, I use a face mask more in the evening as you have to keep it on your face for around 10 minutes, so mornings are really not the best time for that, right? Firstly, I wash my face with a proper make-up removal and then use NIP + FAB cleansing pads to finish the whole cleansing process. After that, I apply a pumping mask for 10 minutes and for the last touches - apply face serum. Honestly, I'm not sure if I love the smell of it as it's pretty strong however I really love the effect! My skin became really dry during the last few months so these products were just perfect for moisturising it. those products look great. I'm going to check them out!